Changes to the operating environment are likely to affect military infrastructure, including the naval base in Norfolk, Virginia, and training areas at California bases. Military operations in strategic regions, such as the Arctic, will also be significantly affected by climate change: as ice melts and maritime conditions change, expanding territory, trade and transport, “imagine you’re trying to patrol the entire U.S.,” said Titley. Titley noted that 3.7 million people in the United States live within one meter of high tide, putting them at risk from flooding, sea level rise, and extreme weather events. 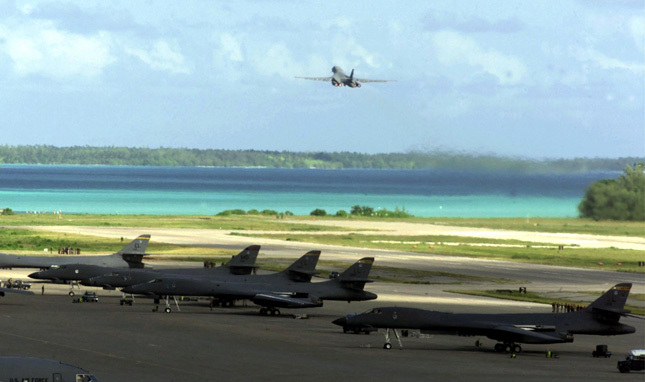 The same challenges plague expensive military bases belonging to the United States and its allies, such as the naval base on the Diego Garcia atoll in the Indian Ocean: “What’s plan B if we lose this island?” he asked. “Climate is one link in a chain of events,” said Titley, pointing towards the Syrian Civil War and the Arab Spring as cases where climate change issues such as drought “make bad situations worse.” New security challenges could arise as the climate changes; for example, the shifting Arctic landscape and reduction in ice cover could have potential economic and military consequences for Arctic states such as Russia. Topics: adaptation, climate change, conflict, environment, flooding, military, On the Beat, security, U.S.